Abstract: Lactic acid bacteria (LAB) are important microflora in raw meat and fermented meat products. They exhibit antagonistic activities against undesirable microorganisms and are highly valued for their probiotic properties. LAB associated with raw beef from two major abattoirs in Ibadan, Nigeria were assessed for antimicrobial activity and probiotic potential. Agar-spot assay showed that 8 of 23 LAB isolates inhibited the growth of at least one of Escherichia coli, Listeria monocytogenes, K. pneumoniae and S. aureus. Selected antibacterial isolates were identified based on API50CHL as Lactobacillus plantarum (3), Pediococcus pentosaceus (2) Lactobacillus paracasei (1), Leuconostoc lactis (1) and Carnobacterium sp. (1). Antimicrobial activities were revealed to be dependent on acidification and production of bacteriocin-like substances. Five LAB strains lowered the pH of medium to < 4 within 24 h, with Leuconostoc lactis Csu12 broth culture having the lowest pH (3.04 ±0.08). Bacteriocin-like activity was displayed by six LAB strains against at least one indicator organism. The antibacterial isolates tolerated low pH and different bile concentration (0.5 and 1%). In addition, they showed different levels of hydrophobicity to xylene. Results from this study suggest the consideration of our resident LAB from meat as novel protective cultures and probiotic candidates in the food industry. Lactic acid bacteria (LAB) are important microflora in raw meat and fermented meat products. They exhibit antagonistic activities against undesirable microorganisms and are highly valued for their probiotic properties. LAB associated with raw beef from two major abattoirs in Ibadan, Nigeria were assessed for antimicrobial activity and probiotic potential. Agar-spot assay showed that 8 of 23 LAB isolates inhibited the growth of at least one of Escherichia coli, Listeria monocytogenes, K. pneumoniae and S. aureus. 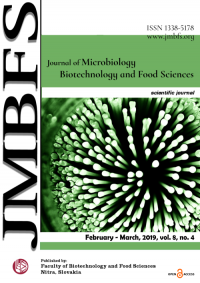 Selected antibacterial isolates were identified based on API50CHL as Lactobacillus plantarum (3), Pediococcus pentosaceus (2) Lactobacillus paracasei (1), Leuconostoc lactis (1) and Carnobacterium sp. (1). Antimicrobial activities were revealed to be dependent on acidification and production of bacteriocin-like substances. Five LAB strains lowered the pH of medium to < 4 within 24 h, with Leuconostoc lactis Csu12 broth culture having the lowest pH (3.04 ±0.08). Bacteriocin-like activity was displayed by six LAB strains against at least one indicator organism. The antibacterial isolates tolerated low pH and different bile concentration (0.5 and 1%). In addition, they showed different levels of hydrophobicity to xylene. Results from this study suggest the consideration of our resident LAB from meat as novel protective cultures and probiotic candidates in the food industry. Lactic acid bacteria (LAB) predominate the natural microflora of many food substrates and represent a major part of the commensal microflora of the animal gastrointestinal tract (Aymerich et al., 2000; Tsai et al., 2012). They are of major importance in the food industry because of their ability to improve the shelf-life, safety, organoleptic characteristics, nutritional quality and health benefits of foods during fermentation (Reddy et al., 2007; Palacios et al., 2008). LAB are able to inhibit undesirable microorganisms and ensure the stability and safety of food products or prevent infection in consumers by displacing pathogens through competition for nutrients and attachment sites, acidification of the environment and release of antimicrobial substances such as hydrogen peroxide, reuterin, diacetyl and bacteriocins (AFRC, 1989; Caplice, 1999; Raghavendra and Halami, 2009; Rai and Bai, 2015). Also, to confer this benefit on consumer, LAB must be able to cross the hurdles of the gastro-intestinal tract by tolerating low pH and bile, and adhering to the intestinal walls (Klaenhammer and Kullen, 1999; Rai and Bai, 2015). These attributes have been demonstrated in LAB strains isolated from chicken intestine and fermented cow and sheep milk (Raghavendra and Halami, 2009; Banwo et al., 2012). LAB are part of the initial microflora of meat and they dominate during processing to sausages and other fermented meat products (Stiles et al., 1997; Fernandes, 2012). They mainly act as protective cultures in fermented meat products. Other reported benefits include improvement of the nutritional, organoleptic and technological properties of the meat (Olaoye et al., 2010; Olaoye and Ntuen, 2011). In addition, they have the potentials to impart health benefits on meat products as probiotic cultures. This study was aimed at determining the antimicrobial properties and probiotic potential of LAB associated with raw beef from major abattoirs in Ibadan, Nigeria. Six samples of fresh meat (beef) were obtained from slaughtered cows at abattoirs in Bodija market and University of Ibadan farm, Oyo State, Nigeria from the months of July to August. The samples were collected aseptically, kept in cooling box (6oC) and immediately transported to the laboratory for microbiological analysis. For all samples, 25g of fresh meat was added to 225 mL of 1% buffered peptone water (BPW, Oxoid, UK), allowed to stand for 30 min to make the stock solution and serially diluted using the same diluent (BPW). The test microorganisms included: Escherichia coli, Staphylococcus aureus, Listeria monocytogenes and Klebsiella pneumoniae which were obtained from the culture collection of the Department of Microbiology, University of Ibadan, Nigeria. One ml of appropriate serial dilution was pour plated on MRS agar (Difco Laboratories, Detroit, MI, USA) and incubated anaerobically at 37oC for 48 h. The plates were observed for microbial growth and isolates were repeatedly streaked on fresh agar to obtain pure cultures. Isolates were presumptively considered to be LAB after phenotypic characterization by cell morphology, spore formation, Gram reaction and catalase test. Presumptive LAB isolates were routinely maintained on MRS agar slants (Difco, USA) and stored in a refrigerator (4°C) (Bromberg et al., 2004). Inhibitory potential of LAB isolates was investigated using the Agar Spot method as described by Raghavendra and Halami (2009). Briefly, cells were harvested by centrifugation of actively growing culture at 10,000 g for 15 min at room temperature (CENHBN-600ML-4 MRC, UK) and suspended in appropriate volume of 1% buffered peptone water to obtain 106-107 cfu/ml. Three microliters of each suspension was point inoculated onto the surface of MRS agar plates (Difco, USA) and incubated overnight at 37 °C for 24 h. One ml of 6 h old broth culture of indicator organisms (E. coli, L. monocytogenes, K. pneumoniae and S. aureus) was inoculated into soft Brain Heart Infusion (BHI) agar (Difco, USA) and poured over the spotted agar plates, followed by incubation at 37 °C for 12 h. The zones of inhibition were observed and measured in millimetres. Twenty-four hour old culture of LAB isolates were inoculated into sterilized MRS broth (Difco, USA) broth with pH 6.5, using 1M NaOH. The cell count was standardized to approximately 108cfu/ml and incubated at 37oC. Acid production was determined by measuring the pH of the broth culture using a pH meter (Hanna Instrument, USA) after 6 and 24 h (Kostinek et al., 2005). Crude bacteriocins were prepared by excluding antimicrobial effects of organic acids and hydrogen peroxide in cell-free supernatants obtained at mid logarithmic growth phase of LAB strains (Ogunbanwo et al., 2004). The culture supernatant was adjusted to pH 7 using 1M NaOH to exclude the antimicrobial effect of organic acids. The supernatant was then filtered using a 0.22µm pore-size cellulose acetate filter. Inhibitory activity of hydrogen peroxide was eliminated by the addition of 5mg/ml catalase. The antimicrobial activity of the crude bacteriocin was carried out against Listeria monocytogenes and S. aureus employing agar well diffusion assay. An aliquot of 30μl of crude bacteriocin was dispensed into Nutrient agar wells in plates earlier seeded with 300μl of 6 h old indicator organism. The plates were incubated at 37 °C for 18 h and zones of inhibition were measured. Selected LAB isolates were further characterized using the following biochemical tests; gas production from glucose, growth in different concentrations of sodium chloride, growth at 15oC and 450C (Olutiola et al., 2000). Carbohydrate fermentation profile was determined using API 50 CHL kits according to the manufacturer’s instructions (BioMerieux, Marcy-l’Etoile, France). The results were analyzed using APIWEB software V5.1 (Biomerieux, France). Identification of the isolates was facilitated with reference to Bergey’s Manual of Systematic Bacteriology (Sneath et al., 1986) and the Genera of Lactic Acid Bacteria (Wood and Holzapfel, 1995). Actively growing cultures were centrifuged at 10000 g for 15 min at 4oC. Cell pellets were washed with phosphate buffered saline (pH 7.2), and re-suspended in MRS broth (Difco, USA) with cell count of approximately 108 cfu/ml. Acid tolerance was determined by adjusting the pH of the medium to pH 3.5 and 2.5 using 0.1 N HCl, prior to inoculation and then incubated at 37oC for 4 h. Bile tolerance was determined by supplementing MRS broth with 0.50% and 1.0% bile salts (Gilliland and Walker, 1990). After incubation, the viable count was determined and the survival of the isolates was calculated by using the formula below (Raghavendra and Halami, 2009). Microbial adhesion to hydrocarbon was determined using the method described by Nakayama et al. (2015). Pellets of actively growing culture of LAB isolates (5mL) were obtained by centrifuging (Model SC-8, BOECO, Germany) broth cultures at 3000 g for 15 min at 40C. Cells were washed twice and re-suspended in phosphate buffered saline (PBS) pH 7.2 to approximately 108 cfu/ml. One ml was used to determine the absorbance (A0) of each cell suspension at 580nm, using UV/Visible spectrophotometer (Jenway 6405, Essex, UK). One ml of xylene was added to 3 ml of cell suspension. The resulting ‘two phase system’ was mixed using a vortex mixer SI-100 (MRC, UK) for 2 min after pre-incubating at 37 0C for 10 min. The aqueous phase was then decanted after 20 min incubation at 370C, and the absorbance measured at 580nm. The test was carried out in triplicates and the means of the absorbance obtained were used to calculate the percentage hydrophobicity. 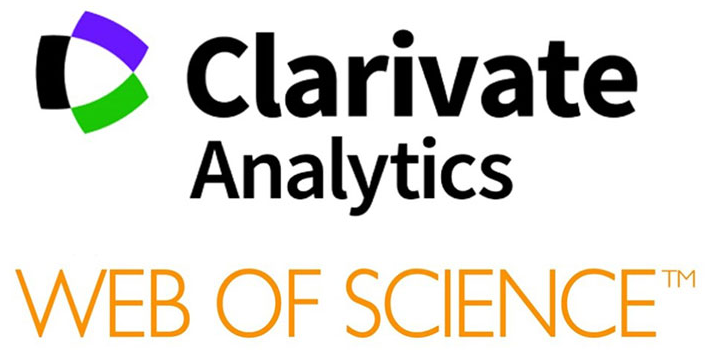 The data obtained were subjected to analysis of variance (ANOVA) and p < 0.05 was considered to be statistically significant. Results were presented as means and standard deviation of replicate values. Eight out of 23 LAB isolated from raw beef samples showed antimicrobial activity against at least one of the indicator microorganisms by Agar Spot method (Table 1). The 8 LAB isolates demonstrated strain specific zones of inhibition against Escherichia coli, Listeria monocytogenes, K. pneumoniae and S. aureus. Based on the various identification methods used, isolates were identified as Lactobacillus plantarum (3), Pediococcus pentosaceus (2) Lactobacillus paracasei (1), Leuconostoc lactis (1), and Carnobacterium sp. (1) (Table 1). Acid production by the selected LAB isolates after 6 and 24 h is presented on Table 2. The best acid producers was observed to be Leuconostoc lactis Csu12 which acidified the growth medium, thereby lowering the pH to 3.04 while the least acid producer was Carnobacterium sp. Csb24 with pH 4.90 after 24 h.
The antimicrobial activity of neutralized and catalase treated cell free supernatants of the selected LAB isolates against 2 indicator microorganisms is presented in Table 2. The more significant zones of inhibition recorded was against Staphylococcus aureus, being inhibited by 6 LAB isolate with zones of inhibition ranging from 14.0 mm to 22.0 mm, while Listeria monocytogenes was only inhibited by Lb. plantarum Csu2. Pediococcus pentosaceus Csu1 and Leuconostoc lactis Csu12 did not inhibit any of the indicator strains. Table 3 shows the survival of LAB strains at low pH and high bile concentration. All test LAB significantly survived at pH 3.5 and 2.5 with Leuconostoc lactis Csu12 showing the best survival of 95.00 and 90.00% at respective pH, while Lb. plantarum Csu2 gave the least with 43.50 and 37.50% respectively. The most tolerant strain at 0.5 and 1% bile concentrations was Lb. paracasei with 95% and 87.5% respectively while the least was Carnobacterium sp. with 10 and 2.75% respectively. Cell surface hydrophobicity of selected LAB strains measured by microbial adhesion to xylene and expressed in percentage is shown in Figure 1. All the LAB isolates adhered to the test hydrocarbon, although at strain-specific levels. Leuconostoc lactis Csu12 exhibited the highest adherence at 75.0%, while Lb. paracasei Csb2 was least at 17.80%. Antibacterial activity is an important attribute for application of LAB in food as protective cultures (Zhang et al., 2011). In addition, it is a key feature to consider LAB strains as probiotics (Leite et al., 2015). 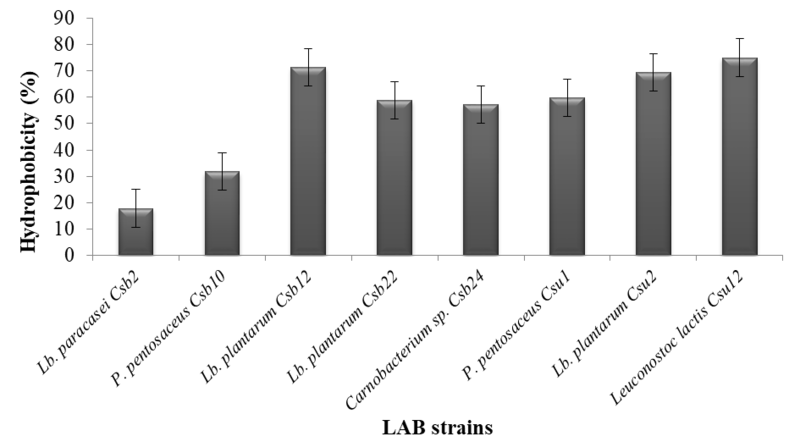 In this study, LAB strains isolated from raw beef exhibited strong and broad antimicrobial activities, inhibiting Listeria monocytogenes, Escherichia coli, Staphylococcus aureus and Klebsiella pneumoniae. In the same way, LAB strains isolated from meats and meat products in previous studies have demonstrated antagonistic attributes. Al-Allaf et al. (2009) reported that LAB strains isolated from minced meat were able to significantly inhibit the growth of Salmonella Typhi, Escherichia coli and Staphylococcus aureus. In a study carried out by Sifour et al. (2012), broad inhibitory activities by Lactobacillus plantarum, Lactobacillus fermentum and Lactococcus lactis isolated from chicken gizzard against Listeria monocytogenes, Salmonella Typhi, Escherichia coli, Staphylococcus aureus and Klebsiella pneumoniae were reported. This report is in agreement with the results from our study. Further phenotypic characterization based on carbohydrate assimilation showed that the antibacterial LAB strains isolated in this study belong to the genera; Lactobacillus, Pediococcus and Carnobacterium. Species of these genera are frequently encountered in raw meat and meat products (Olaoye and Ntuen, 2011; Fernandes, 2012). Oliveira et al. (2008) reported the occurrence of Lactobacillus sp., Lactococcus sp. and Pediococcus sp. in vacuum-packaged meat. Microorganisms present on raw meat could be from the skin and gut of the animal, processing utensils, slaughter environment and meat handlers (Meat Tech, 2007; Fernandes, 2012). Several metabolites, including organic acids, hydrogen peroxide, diacetyl, reuterin and bacteriocin are responsible for the antimicrobial properties of LAB (Caplice, 1999; Banwo et al., 2013; Pieniz et al., 2014). Accumulation of organic acids by LAB results in lowered pH of a milieu and inhibition of unwanted microbiota (Ogunremi et al., 2017). Most of the LAB in this study lowered the pH of chemically defined medium to < 4.0 within 24 h, with Leuconostoc lactis Csu12 broth culture having lowest pH (3.04±0.08). According to Holzapfel (1997), pH levels lower than 4.2 constitute a major stability and safety factor for food. In addition, lactic acid contributes to sour flavor of meat products (Ammor and Mayo, 2007). However, under conditions that eliminated the possible antimicrobial effects of organic acids and hydrogen peroxide, the test LAB strains, except P. pentosaceus Csu1 and Leuconostoc lactis Csu12 exhibited bacteriocin-like activity against at least one indicator microorganism. Compared to the crude supernatant, bacteriocin-like substance recorded narrow spectrum of antimicrobial activity, especially against Listeria monocytogenes. Bacteriocin-like substance from Lb. plantarum Csu2 inhibited S. aureus and L. monocytogenes. Bacteriocins are small, ribosomally synthesized peptides which inhibits microorganisms (Oliveira et al., 2008). Bacteriocin, showing broad spectrum of antimicrobial activity was characterized in Lactobacillus sake strains isolated from Portuguese fermented cured/smoked sausage (Salpicao) (Todorov et al., 2013). Bacteriocinogenic activity was also reported in Lactobacillus sp. from poultry and fermented meat products (Gaspar et al., 2015). Bacteriocins production provides competitive advantage for LAB, either in food or gut (Leite et al., 2015). Resistance to low pH and bile salts is critical for the selection of probiotic strains (Pieniz et al., 2014). It is of value for predicting the survival and effects of a strain in the gastrointestinal tract (Zhang et al., 2011). The pH in the stomach and bile concentration in the small intestine is pH 3.5 and 0.3% respectively (Czerucka et al., 2007). At fed state, pH reduces to 2.5 and bile concentration increases (Du Toit et al., 1998; Chou and Weimer 1999). Remarkably, the results from this study showed that antibacterial LAB strains are acid and bile tolerant, surviving 4 h exposure to pH 3.5 and 2.5, and bile salts concentration 0.5 and 1%. Similar results have been previously reported for LAB strains from food and animal sources (Raghavendra and Halami, 2009; Zhang et al., 2011; Banwo et al., 2012, 2013; Pieniz et al., 2014; Leite et al., 2015). The hydrophobicity of microbial strains correlates with their attachment to surfaces of intestinal epithelia cells (Kiely and Olson, 2000). This attribute confers on LAB the ability to persist in the intestine for lasting health benefits (Vinderola and Reinheimer, 2003). LAB strains examined in this study demonstrated significant hydrophobicity with xylene. However, it was at strain-specific levels. In a previous study, Lactobacillus and Pediococcus species isolated from chicken intestine exhibited > 50% hydrophobicity (Raghavendra and Halami, 2009). The findings of this study indicate that meat is a source of technologically important LAB strains, which possess probiotic potentials. This indicate that the use of carefully selected LAB strains from meat as starter culture can influence improved safety and health benefit in fermented meat products. Al-Allaf, M.A.H., Al-Rawi, A.M.M., & Al-Mola, A.T. (2009). Antimicrobial activity of lactic acid bacteria isolated from minced beef Meat against some pathogenic bacteria: Proceedings of the 5th Scientific Conference, College of Veterinary Medicine, University of Mosul. Iraqi journal of veterinary sciences, vol. 23, supplement I (115-117). Gaspar, A.M, Fernandes, M.H, Fernandes, M.J., Barreto, A.S. and Fraqueza, M.J. (2015). Lactobacilli isolates bacteriocinogenic activity against potential pathogenic microbiota in poultry meat products. Book of Abstracts BioMicroWorld 2015, VI International Conference on Environmental, Industrial and Applied Microbiology, Barcelona, Spain/ 28-30 October 2015. Poster presentation, p160. Olutiola, P.O. ; Famurewa, O.; and Sonntag, H.G. (2000). An introduction to general microbiology: a practical approach. Bolabay Publications; pp. 157-175. Sifour, M., Tayeb, I., Haddar, H.O., Namous, H., & Aissaoui, S. (2012). Production and characterization of bacteriocin of Lactobacillus plantarum F12 with inhibitory activity against Listeria monocytogenes. Online J Sci Technol. 2:55–61.